I bought the same one before and bought it again because it was the quality I wanted. This review is about item#42165496. We bought for adjustment of reel. It is high quality without burrs. There are many kinds and I would like to order other sizes because the price is low. This review is about item#42165322. Although it was not made for this application, thickness, inner diameter, and the outline were just perfect standards. This review is about item#42165462. It is a very good product. I was satisfied. It is a very recommendable thing. This review is about item#42165383. I used to attach the rear box of the bike. It is usable without any problem. This review is about item#42165374. In the old standard, the diameter is 12 mm and the thickness is also 0.8 mm and halfway, so the ISO standard of 10 mm x 1.0 mm is easy to use and saved. This review is about item#42165356. This review is about item#42165347. Although it is inexpensive, I think that there is no problem in use feeling with enough making. This review is about item#42165331. It was rarely used size, but it was saved because I could buy single item. very good. I used it as a rustless part for restoring old cars. This review is about item#42165365. It was a part that can be used without problems. In addition, we will use it. I could not find the size I wanted very much and it was very helpful. The thing was solid, and it was possible to use it without any trouble. It's a very affordable item so I will refill it the next time as needed. Instead of a washer that bends immediately. 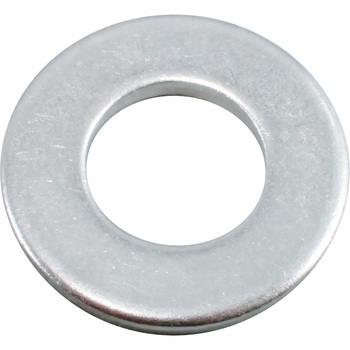 With screws with frequent desorption, the washer is bent soon as the hole under it is vertically long. It is great in place of this. I bought it for bulkhead union. It is securely stopped. This review is about item#42165417. I think that the quality is good, the price is also cheap and a good product. It is hard to rust and it is handy because it has various sizes. Close the polycarbonate board to the snowplow board. It is perfect as the project is modularized. It is a good project. Since it is used outdoors, there is no worry of rust. It is perfect size and easy to use. Long ago play has come out at two handle posts of the XJ 750E, I bought six pieces instead of the shims for burdock filling and I tightened my friend. Just finished fitting, thanks to eliminating backlash.